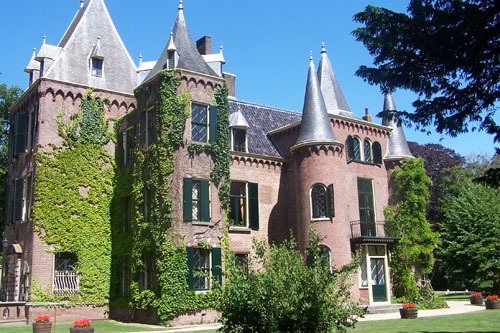 There's more to Amsterdam than the Van Gogh museum and the Anne Frank House. Wintry weather brings on wistful thoughts of Spring and outdoor living. Amsterdam's living museum, Keukenhof is a perfect day trip for garden lovers, as is the city's largest park, Vondelpark. Admire Dutch ingenuity at reclaiming land when you visit Kinderdijk, a UNESCO World Heritage Site that is a just an hour from the city centre. And is any trip complete without local nibbles? Consider a home cooked meal in an ancient monastery, or a trip to the fabulous cheese market in Alkmaar. Connexxion bus company offers direct bus service (35 mins) from Schiphol Airport and Central Amsterdam to Keukenhof. Tickets are on sale at the tourist offices/Schiphol Plaza. 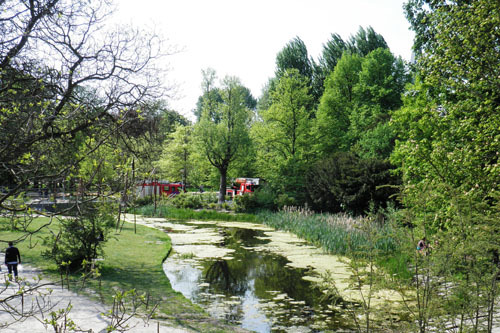 A sprawling area of wild English-style landscaping, this biggest and oldest park in central Amsterdam is a great place to jog, people-watch, let the kids run in one of the many playgrounds, or just doze in the sun. Those who want to be more active can rent inline skates at the Snoephuisje, near the Amstelveenseweg entrance (at the far southwest end). A bandstand in the centre hosts concerts and childrens' theatre; for refreshment, the nearby Blauwe Theehuis is the spot to have a coffee in a very modern piece of architecture. Take tram #1 from Centraal Station to Stadhouderskade; continue along the tram tracks to the main entrance to the park. Alternatively, take tram #2 or #5 from Centraal Station to Hobbemastraat; walk back along Stadhouderskade to the park entrance. With its steamy hot houses, peaceful gardens, and exotic palm houses, Amsterdam’s historic ‘living museum’ dates from 1638 and exhibits up to 4,000 varieties of plant. The gardens also boasts the oldest potted plant in the world – a 310-year-old breadfruit tree transported here from east Africa. Originally the beds were planted with medicinal herbs, still to be seen in the Sippendaal Garden, while today’s landscape dates from the Romantic period of the 18th century. 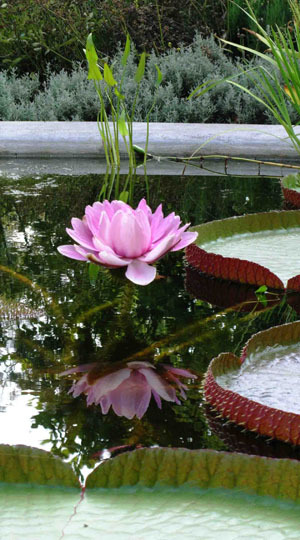 The remit of the Hortus Botanicus is to nurture rare plants; find the quiver tree, Wollemi pine, and giant cycads are nurtured in a section called the Crown Jewels. Take organic tea on the terrace of the Orangery, explore the rainforest and desert in the Three Climates Glasshouse, or purchase honey, bulbs, and seeds from the shop. And as no self-respecting visitor to Holland should go home without seeing a windmill, combine a wander through the gardens with a visit to the 18th-century De Gooyer windmill on nearby Funenkade by the harbour. Tram #9 and #14: Mr. Visserplein stop. Tram #6 (Mon-Fri): last stop. Closes an hour earlier in the winter months and open later in the summer. Alkmaar is an archetypal Dutch town complete with gabled buildings, tall church spires, cute canals, and bridges. It’s a mini-me of Amsterdam, which is 30 minutes by train to the south. 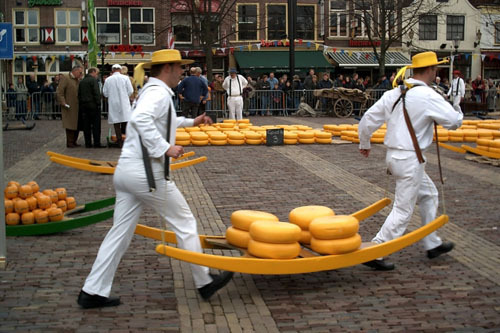 Alkmaar is the only town in Holland to retain its traditional cheese market, which has been going strong since 1593 and takes place each Friday between mid-April and mid-September on the cobbled Waagplein. At 10am precisely, the colorful spectacle begins with teams of cheese carriers running to the weighing scales with the cheeses in yellow hoppers before rushing them to the market square, where they are laid in rows for the haggling to begin between buyers and sellers, all brightly attired in the colors of their guilds. Visitors flock to Alkmaar by the thousand to witness the spectacle, but there’s plenty else to keep visitors in this pretty town, from canal tours to two niche visitor attractions, the National Beer Museum – which explains the process of brewing and its historical importance to the local economy – and the Beatles Museum, which is apparently in Alkmaar because John Lennon’s first guitar was made in Alkmaar. Who knew? Cheese market: each Friday early April to early September. Waagplein. Time: 10am to 4pm. Admission free. National Beer Museum: Houtill 1, 1811 JL Alkmaar. (tel) +31 (0)72 511 3801. (email) info@biermuseum.nl. http://www.biermuseum.nl/. Adm: adults €4, children under 12 €2. Open Mon-Sat 10.30am-4.30pm ). Beatles Museum: Kanaalkade 21A, 1811LP Alkmaar. http://www.beatlesmuseum.nl/. Open Tue-Sat 11am-4.30pm. Adm: €2.50. The UNESCO World Heritage Site of Kinderdijk is 54 miles (86 km) south-west of Schiphol Airport and comprises 19 wooden windmills – once there were 150 – and pumping stations dating from the 18th century, built to drain water from the surrounding polders as land was reclaimed from the North Sea. 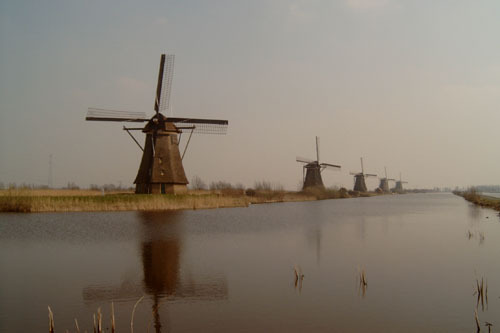 Firmly below sea level, the mills stand in two rows on either side of the dyke, silhouetted against the flat, grassy landscape of South Holland. Only one mill is open to the public, comprising a small museum revealing the cramped living quarters, primitive kitchen, pumping equipment. Although several still function, the bulk of today’s water management is done by diesel-fired pumping station. Canal trips allow visitors to see the mills up close from the water, but most people come to wander around the complex, admire the huge paddles on the windmills, and explore the system of locks. A series of walking and cycling routes also encompass the mills and dyke. Spring is a great time to visit when the fields around the mills are covered with a psychedelic carpet of tulips. In winter the museum mill is only open at weekends. Opening hours vary seasonally but roughly 9am-6pm.